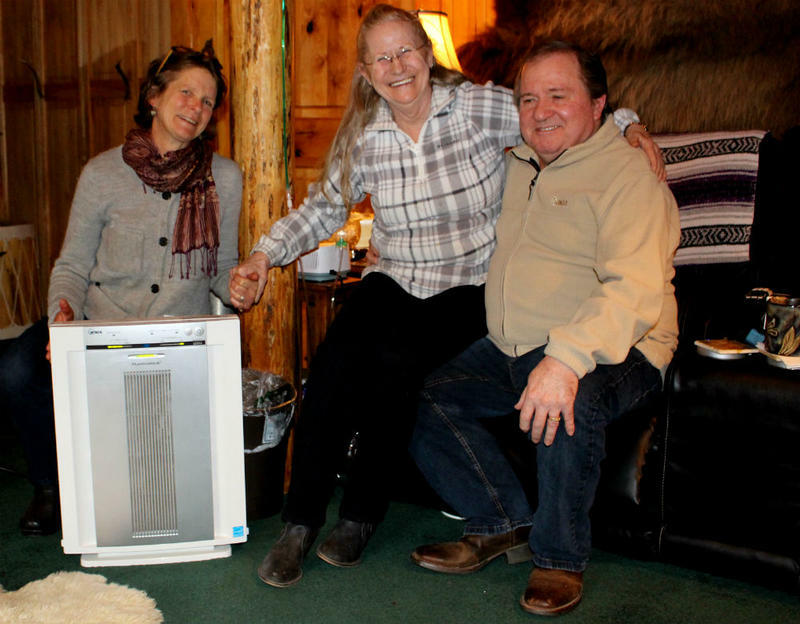 Amy Cilimburg, the director of Climate Smart Missoula, helped Seeley Lake residents Joy and Don Dunagan get a HEPA air filter through a partnership with the Missoula City-County Health Department. Ellen Leahy, the health officer in charge of the Missoula City-County Health Department, says in the past, when wildfire smoke polluted the air outside - nobody really talked about air filters. “We’d always told people to go indoors, thinking the air might be a little better. Well that was not necessarily true anymore," says Leahy. Joy and Don Dunagan experienced that first hand this summer, when the Rice Ridge fire blew up near their cozy log home in Seeley Lake. “We put towels around the doors, the windows, everything. It’s not dirt. Grime from the smoke came in through the whole house," says Joy. Wildfire smoke isn’t good for anyone, but older folks and those with chronic heart and lung diseases are especially vulnerable. The Dunagans check both boxes. They’re 69 years old, and on oxygen a lot of the time. Joy is a stroke survivor. And Don recently developed asbestosis after almost 40 years working in an aluminum factory. “I’ve got less than 50 percent breathing capacity right now. Anything that I could have done a year ago, I can’t do now. And then that smoke on top of it, it was killing me," says Don. But with no family in state and limited mobility, leaving town to find cleaner air just wasn’t an option. So Amy Cilimburg, the director of a small non-profit called Climate Smart Missoula, helped them get a HEPA air filter and make a safe air space inside their home. “It’s the same filter so it works the same way," Cilimburg says as she installs it. "I don’t know that this one has been used at all." The unit resembles a space heater, but can actually scrub out the fine particulates in wood smoke that are so hazardous. “There’s a pre-filter that takes out the large stuff. And then that’s the HEPA filter," says Cilimburg. "So you want to make sure that one’s in there." Earlier this year, Missoula County’s Health Department launched a pilot program with Climate Smart to get HEPA air filters to homebound seniors, like the Dunagans, because they’re at such high risk. Don says he slept next to it, in his recliner, every single night. “I believe that machine saved my life, I really do," he says. Students at Frenchtown Elementary had to stay inside for recess for almost a week straight because of poor air quality due to wildfire smoke. Kids are also extra susceptible to the pollutants in smoke, in part because their lungs are still developing. 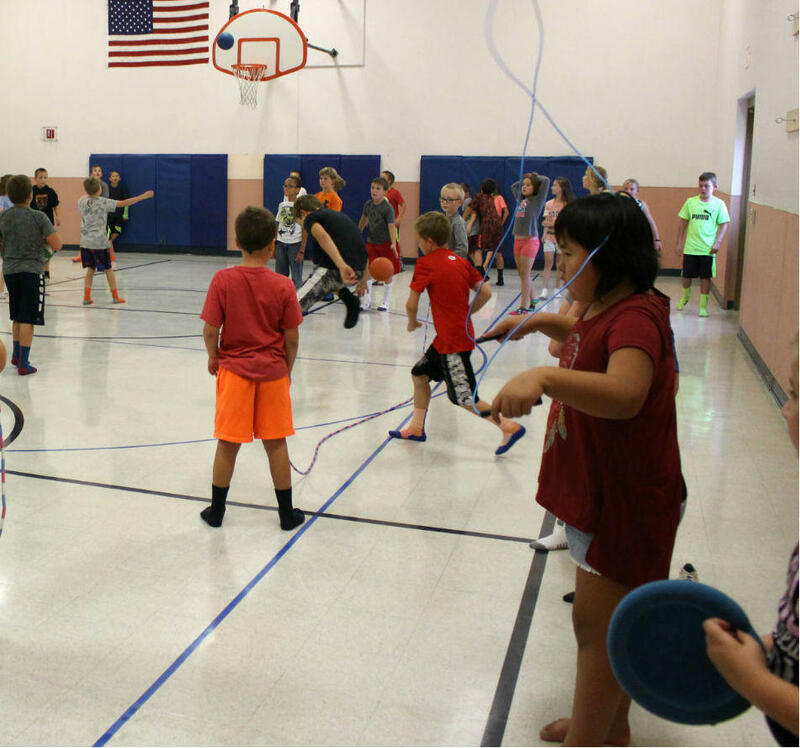 Last September, school kids at Frenchtown Elementary were stuck having recess inside, because it was too smoky to play outdoors. But smoke filled their classrooms too. Missoula County’s health department and Climate Smart scrambled to get air filters to the worst hit schools. Other non-profits pitched in to raise money and buy filters too. Almost overnight, the smokey hazes inside the schools disappeared. 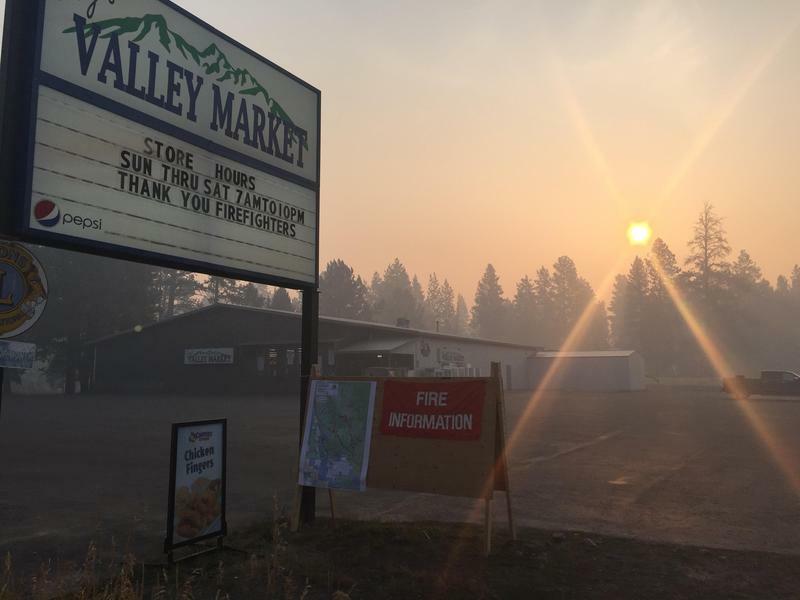 The health department’s Ellen Leahy says that strategy and solution are a game changer for how public health agencies approach wildfire smoke. That’s not necessarily that expensive, but it’s not free. The challenge is figuring out who pays for it. Individually, portable HEPA air filters that can clean a big room cost under $200 each. Collectively, it cost about $30,000 to put those kinds of filters in just three out of 50 schools - in Seeley Lake, Lolo and Florence - last fire season. And that didn’t cover every classroom, or grade. Nor are individual filters necessarily the most efficient solution for schools and other bigger buildings, like daycares, nursing homes, or health clinics. County air quality specialist Sarah Coefield says it’s virtually impossible to put a price tag on what it would cost to filter the air in every public space in the county. “It would be a very high number and I haven’t even wrapped my head around it," Coefield says. For context, Missoula County has one of the biggest and most experienced air quality programs in the state. And the money they pitched in to buy filters last minute came from emergency funds, which quickly dried up. Health officer Ellen Leahy says they tried their best to respond to the need. “But it was very - it was creative, I would say makeshift," she says. Even Missoula County’s health department wasn’t equipped to launch a larger scale response. That’s because they’re set up to regulate easily controlled, man-made sources of air pollution, like factories, or wood stoves. But the agency can’t tell lightning not to strike, or forests not to burn. So wildfire smoke presents a wholly different set of threats and challenges, ones that are outside of their current operating framework and budget. “There’s not a new source of funding that we’re aware of that can say - well, how can we at the local level try to help people with exposure to wildfire smoke in the same way that we at the local level try to do on wood stoves? There’s not a pathway for us to do that, at this time," Leahy says. The state health department is in a similar bind. Currently, they have no resources specifically dedicated to protecting the public from wildfire smoke. “I don’t anticipate that there’s going to be a lot of new monies coming or anything like that. I think it’s maybe making the best of what we already have," says Murphy. Episodic events, like disease outbreaks, or wildfire smoke, are especially hard to prepare for. Amy Cilimburg, of Climate Smart, says she’s proud of Missoula’s leadership and the community’s efforts to step-up. But she also stresses that wildfire seasons are getting longer and more intense, and the smoke will come back. “Providing some money up front can save you money down the road. And we’re just not very good sometimes at thinking about it. We’re good at responding to disasters, and not as good as being prepared for them up front. That’s kind of the conversations we’d like to spark," says Cilimburg. For now, the county health department will continue to partner with Climate Smart. This winter, they’re busy building on the blueprint they established over the summer. Together, they want to spread the gospel about air filters and the message that clean air is a collective responsibility. And they have a cache of about 100 filters to help those in need. They’re also working with larger public institutions, like school districts, to help them improve their air filtration systems and encourage them to put them in their own budgets. 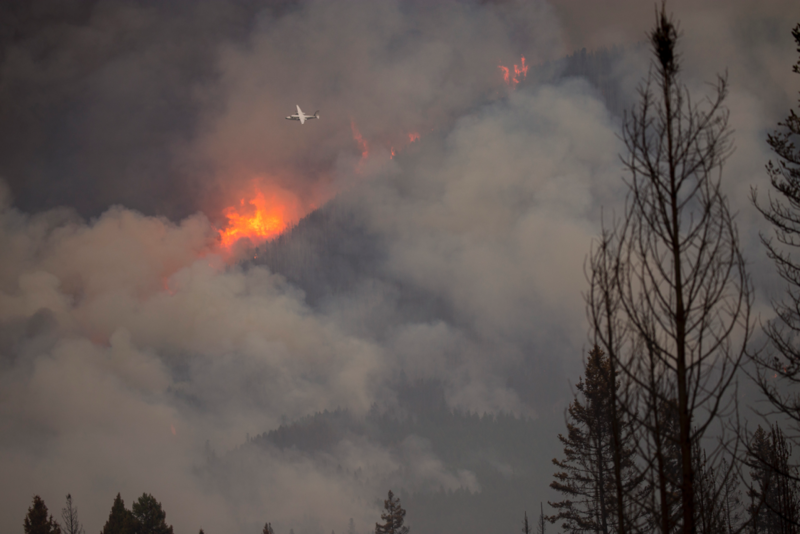 Seeley Lake resident Don Dunagan says it’s also on everyone who lives here to acknowledge the risks of living with wildfire, and create your own clean air space. “A lot of people don't realize what that smoke will do to you. It catches up to you - you might tough it out now, but if you go long enough, you’re gonna have breathing problems," Dunagan says. This summer, Missoula County had its worst wildfire smoke season on record. It’s unclear how exactly that impacted the health of county residents, both as the fires were burning and longer term, but researchers are starting to pull in some data. Wildfire smoke has inundated communities across western Montana this summer and officials are worried about its impacts on human health, physical and otherwise. Missoula City-County Air Quality Specialist Sarah Coefield understands the negative health impacts of air pollution better than most, but even she was startled by its impacts earlier this week. More than a million acres of Montana forests and rangeland have burned this year, so far, causing unhealthy air across the state since mid-July. 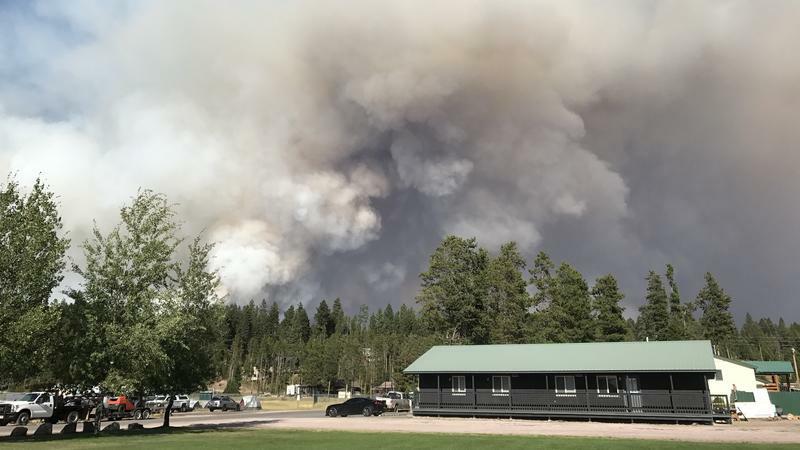 In August the Missoula County health department took the unprecedented step of advising the entire town of Seeley Lake to evacuate due to smoke; air there has been classified as "hazardous" levels for 35 days in August 1.